One of the beautiful things about wine is that it is an infinite subject. You can never learn it all. And, if you could, as soon as you did, there would be more to learn. Wine will always be too big for us to get our arms and heads around. But that doesn’t stop a portion of the wine-loving world from trying. The best way to learn about wine, even more so than tasting and reading, is travel. You can study and drink all you like but nothing substitutes for boots-on-the-ground examinations of the places and people who produce the bottles you love. 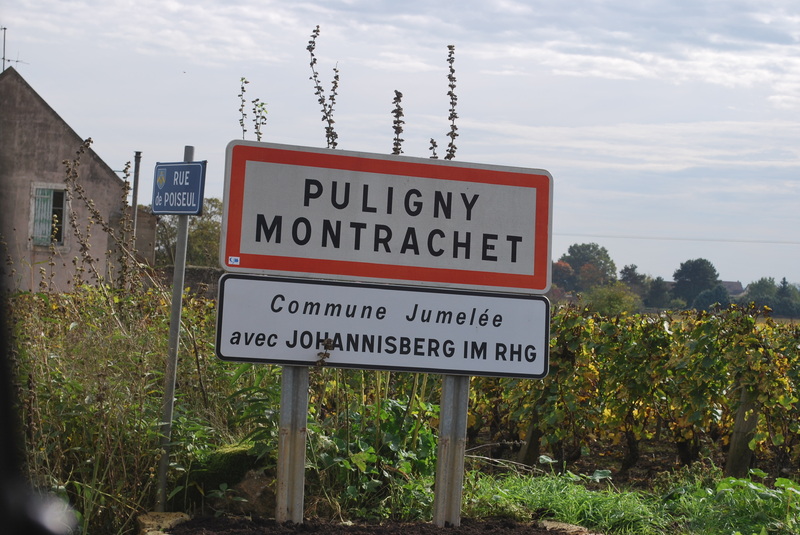 Being in Burgundy or Rioja or Central Otago or a thousand other vine-covered locales is always the best way to understand a region and the fruits thereof. But travel to faraway places is not always possible. What to do, what to do? One pleasant substitute for seeing a place in person is the vicarious experience of visiting through the lens of a smart and passionate filmmaker. An appealing example of film’s power to transport is the recent series called Wine Masters, from Klaas de Jong and his Farmhouse Film & TV Productions, a documentary film house in the Netherlands. The first season in what I hope will be a long-running effort focuses on five of France’s major wine regions: Rhone, Loire, Bordeaux, Burgundy, and Alsace. Each episode, approximately 40 to 45 minutes in length, focuses on the particular region through the history of one of the area’s prominent families, their origin, their philosophy, and, finally, their wine. To most wine aficionados names like Guigal, Trimbach, Drouhin and others are commonplace, but to those new to wine, these families and their members quickly become friends you can’t wait to meet and learn more about. A typical stone-bathed vineyard just outside of Chateauneuf-du-Pape in the Southern Rhone. Soils in the region are usually variants of clay, sand, and gravel over limestone subsoils. Many parcels are even rockier than the one pictured here, filled with large stones called galets, which retain daytime heat and warm the vines at night. Tending these vineyards can be arduous on even the easiest of days. How sturdy would your ankles and knees have to be?! There are many things to like about de Jong’s work: crisp photography, intimate storytelling, and, perhaps most importantly, accessible explanations of the essential elements that tie land and people and history together. Never overly technical, but not so simplistic as to condescend, the narratives offer enough insight into the featured regions and producers to both intrigue the neophytes and satisfy the experts. Interviews of the producers and their families are complemented by appearances of Jeannie Cho Lee and Tim Atkin, each a Master of Wine, who are able to offer informed appreciations that make sense to wine lovers of every caliber. Their expertise helps viewers understand why these regions, families, and wines matter so much. Between Lee and Atkin, and the families themselves, what is often regarded as esoteric and inaccessible becomes just the opposite. These families are, and have been for centuries, basically grape farmers. But, they are farmers who have learned the magic of turning their crops into something that brings joy to people around the globe. A late October sun glows above the autumnal colors of Burgundy’s Cote d’Or. Harvest had just finished, making it one of the latest in the region for at least two decades. A challenging growing season for a variety of reasons, experts have more faith in the quality and viability of the white wines, with reviews of the reds being somewhat mixed. De Jong and his team reached out to me before Christmas last year asking me if I’d like to watch the first season and perhaps write a review. I quickly agreed and then just as quickly got busy with a thousand other things. My password for free access expired more than once. Finally, too embarrassed to ask for another shot, I simply bought the series for my own viewing. I had already watched two and a half episodes and I was hooked. No way was I going to miss whatever came next. Not surprisingly, when I finished the fifth and final episode I had the same reaction I have when a good bottle has been drained: isn’t there any more? Why isn’t there any more? If you really want to get to France to learn more about your favorite wines, here’s your chance. You’ll be hard pressed to find a more comfortable or more affordable wine tour anywhere. Bon voyage! Wine Masters was produced with subtitles in seven languages and is available on iTunes, Amazon Prime, Google, Play, Vimeo, and its own site, winemasters.tv A fair amount of dialogue is in French; turning on the closed captioning is recommended for those not proficient in the language. **Photos courtesy of The Grape Belt and are not to be used or reproduced without express written permission.